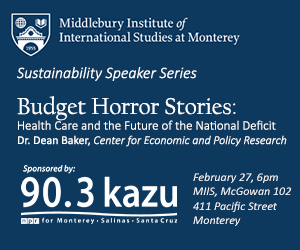 Join Dr. Dean Baker, Senior Economist & Co-Founder at the Center for Economic and Policy Research, as he discusses his research on the future of health care costs and the national budget. Dr. Jason Scorse will moderate a discussion on a wide range of economic and social issues following the talk. Registration is requested for this free event.